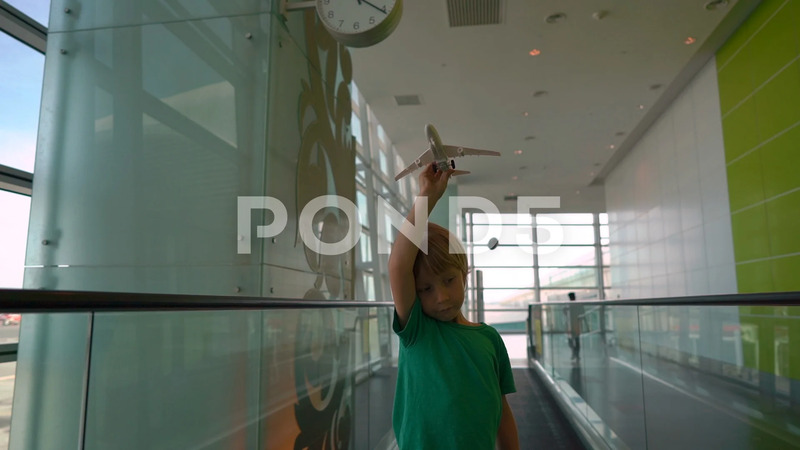 Description: Slowmotion shot of a little boy that moves on a travolator through airport holding white toy airplane in his hand. Freedom concept. Childhood concept. Children travel concept.